Lone worker hazards can be found in a number of different workplaces. It is the responsibility of those in health and safety managerial positions to ensure that the safety of lone workers is never compromised. It can be easy to overlook lone workers and fail to identify them as part of a workforce, as most people associate the term 'lone worker' with on-call service people. However, lone workers make up significant portions of many workforces in a variety of different industries. Although an employee may work alongside co-workers most of the time, there may still be periods where they are required to work alone. If any employee is required to work alone for any period of time, then they can be considered a lone worker. Water treatment plants are a good example of a workplace where lone workers can be found. Although many employees may work in a plant alongside others, there are often times where they are required to work alone. There are also many other hazards to be aware of in this environment for all workers, regardless of whether they work alone or as part of a team. 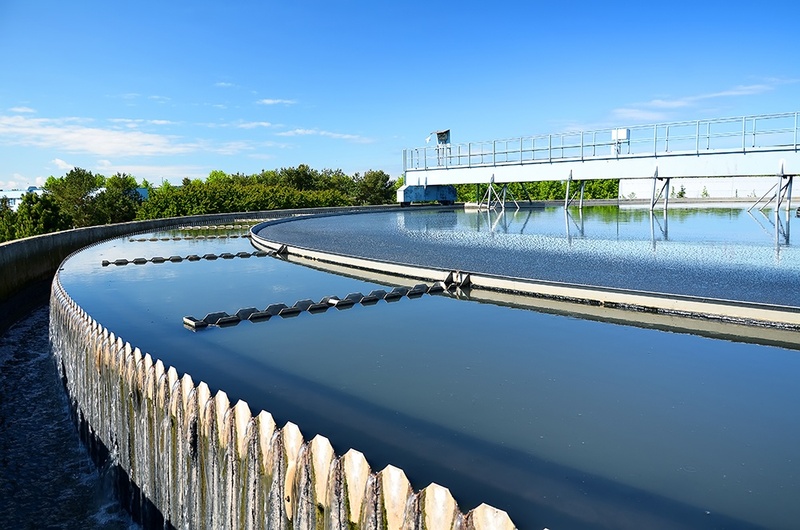 Most water treatment plants are fairly large in size and are often minimally staffed. This means that staff may frequently find themselves working alone, especially if their responsibilities require them to man certain areas of the plant. There may be staff working in control rooms monitoring alarms, but it is likely that certain individuals will have to respond to alarms and perform maintenance checks as part of their day-to-day routine. In these situations, it is very likely that an employee will go from working alongside co-workers to being classified as a lone worker, even if only for a short period of time. There are a number of hazards in a water treatment plant to be aware of, including steel staircases that can be very slippery when wet, or for staff using them in the dark, they can also be very hazardous. Staff may be required to use the staircases quickly to respond to calls over different levels of the plant, leading to a greater risk of injury. This is particularly dangerous for any employee that is working alone, as if they fall and injure themselves, it is likely that they will be unable to contact anyone for help. In addition to this, if the employee is knocked unconscious from the fall or is trapped for any reason, they may be physically incapable of alerting others. Many plants require workers to perform duties in underground areas including tunnels or basements, often around hazardous machinery. A worker can easily injure themselves when working in this environment and may sustain injuries including burns, head injuries, or other injuries caused by moving machine parts. The issue in this particular environment is the ability to call for help if an injury should occur. Although most employers or health and safety managers do take precautions to avoid accidents from happening, they can still occur. Communication is often the area that is overlooked when it comes to health and safety planning, and in an environment such as this, GSM / 3G mobile telephone communication isn't always available to users. Mobile communication in an underground environment can be very unreliable, relying on sufficient mobile reception to make calls or operate lone worker safety devices can be troublesome. Although devices operated using a mobile network may be sufficient in some areas, it is likely that they will not be reliable in large areas of the plant. Therefore, the challenge in this instance is to find a communication platform that is sufficient for both lone working, and every day use. A device that is capable of running without the need for GSM/3G/4G mobile signal, that allows workers to communicate with one another on a regular basis, and that can be used by lone workers to send alerts when they are in danger or in need of assistance. It is important that all members of the team are contactable around all areas of the plant. They must be able to respond to events as they occur and make on the spot decisions without this being compromised. Alongside regular health and safety checks and ensuring each worker is trained correctly in their field, there are several ways to protect workers in this environment. This includes identifying areas for concern and implementing procedures to prevent any accidents from occurring. In addition to this, communication devices are paramount in providing a safe working environment for all employees. Communication devices are used by many companies, particularly when lone working is involved. Most devices for lone workers contain a panic button and tilt sensor that help users raise alerts. The tilt sensor in the device triggers an alert automatically in the event the user is rendered unconscious. Although some lone worker safety devices require a mobile signal to operate correctly, there are devices that operate using a radio signal, which may be more appropriate for workers in water treatment plants or similar environments where mobile signal is poor. ANT provide communication solutions for environments where mobile signal is not sufficient. The needs of each customer can differ, and therefore an assessment is required to ensure that the same technology can be used around the plant for both lone workers and those that work alongside others. Communication around all areas of the plant is essential for an efficient and effective communication solution, and to provide the highest level of protection to all employees. ANT specialises in providing high quality communication solutions for many different kinds of businesses and organisations, assessing each customer's requirements on an individual basis to provide the best and most appropriate solutions.